Planning a special breakfast for Christmas morning has become a fun little tradition for our family. Sometimes it's cinnamon rolls, other times it's Easy Breakfast Casserole. 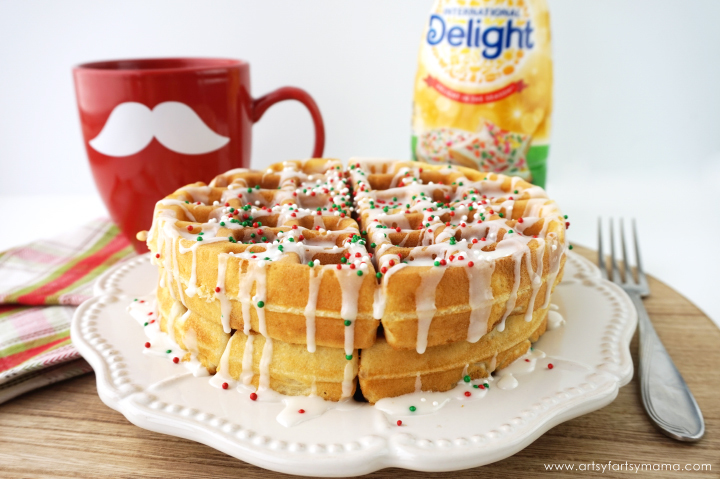 This year, I am planning on making some Fluffy Sugar Cookie Waffles with my secret ingredient, International Delight® Sugar Cookie Coffee Creamer! 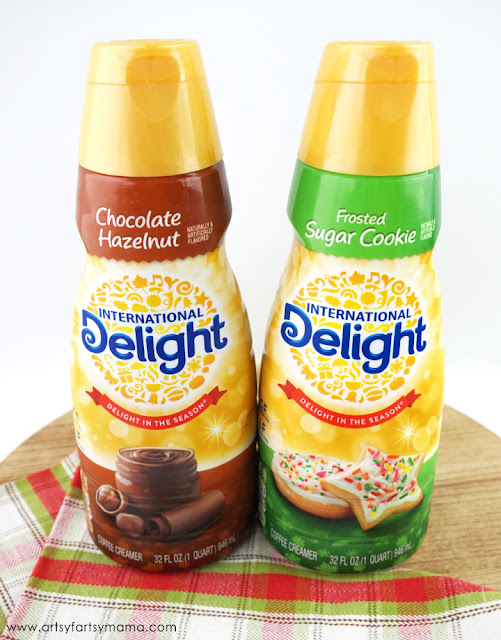 International Delight coffee creamers come in a variety of flavors for the holidays like my personal favorites: Sugar Cookie and Chocolate Hazelnut, as well as Peppermint Mocha, Salted Caramel Mocha, and Pumpkin Pie Spice! You can find quart sized International Delight creamers in the refrigerated bins or in the dairy refrigerators at your local Walmart! 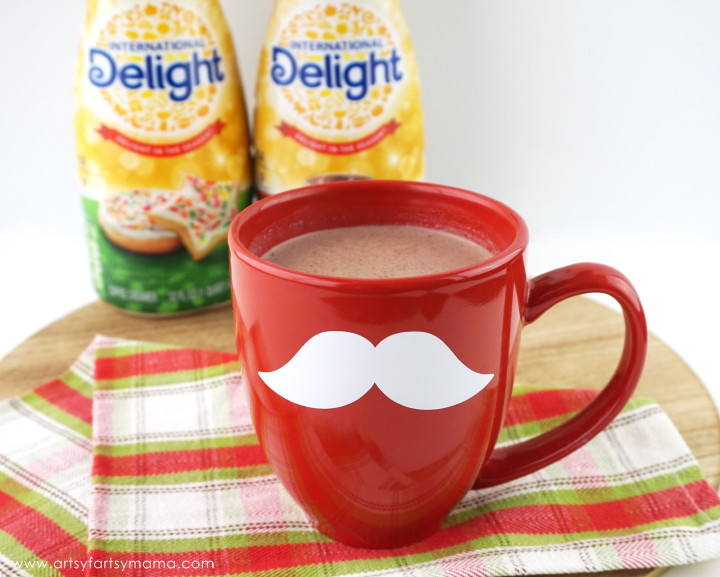 Adding International Delight creamers to your morning cup of coffee or hot chocolate bring your beverages right into the holidays. But did you know that you can also use creamers as a delicious ingredient in your holiday recipes, too? Just substitute the milk in practically any recipe with your International Delight® favorites! The waffles are delicious on their own, but they are truly delightful when topped with a Sugar Cookie Glaze. It's the same consistency of syrup, but has the delectable taste of a sugar cookie! Your mouth will thank you and it's a breakfast even the pickiest of kids are sure to love. By adding creamer, you end up with a fluffier, richer waffle with a light hint of flavor to an otherwise ordinary batter. Plus, the smell in your kitchen while they are cooking is just scrumptious! 2. Add in all remaining ingredients and stir until smooth. 3. Preheat waffle iron and spray with non-stick spray. 4. Pour mix onto waffle iron and cook until golden brown with a slight crisp. 5. In a small bowl, whisk together the powdered sugar and coffee creamer until smooth. of creamer until you get to the right consistency. To thicken, add more powdered sugar. 6. Drizzle glaze over warm waffles. 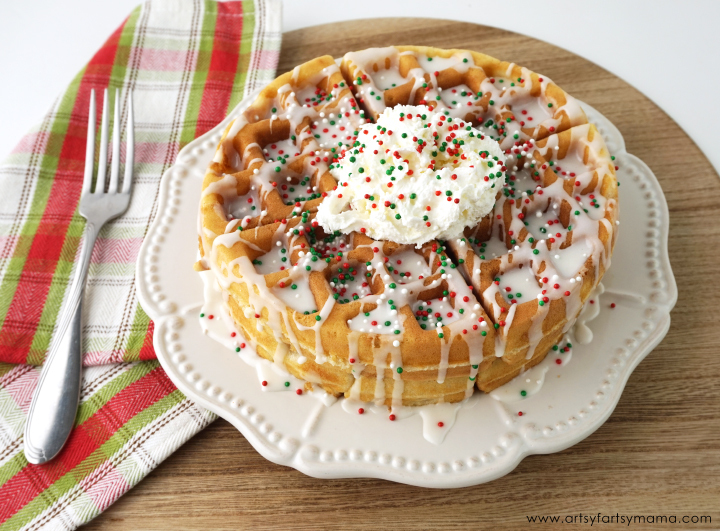 Top with sprinkles and whipped cream for a festive Christmas morning breakfast! 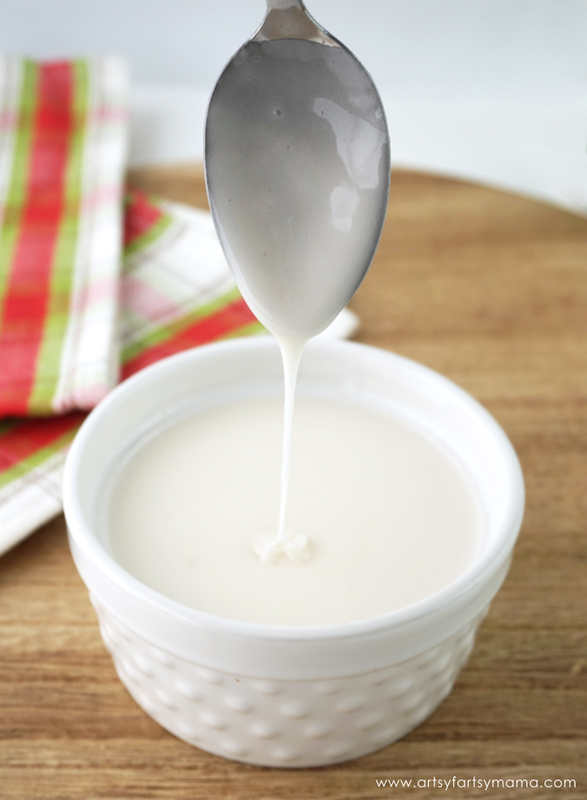 Have you ever used creamer in a creative way? Get inspired with all kinds of delicious ways you can use International Delight® Coffee Creamer - like this recipe for a Pumpkin Pie Spice Frappe! Which seasonal coffee creamer flavor is your favorite? Now, that's what I am talking about! Your waffles looks delicious! Isn't the sugar cookie creamer amazing? One of my new faves. I love that you topped these with the glaze! 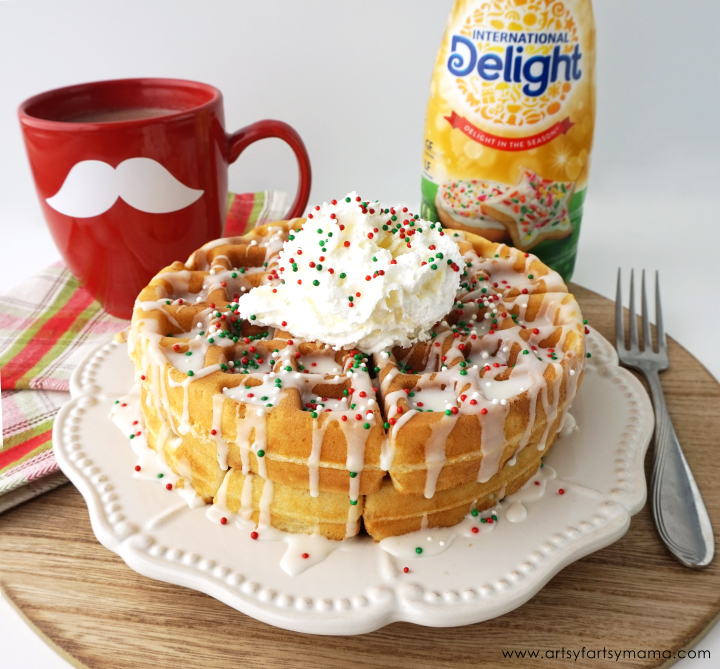 Great idea instead of syrup, and really festive for the holidays. WOW - these look amazing! I know what I'm making for breakfast this weekend!